Troika’s film and television programs have been broadcast in 30 countries and screened at film festivals throughout the world and have been honoured at the Monte Carlo Television Festival, Worldfest Houston, Worldfest Charleston, The New York Festivals, the Yorkton Short Film & Video Festival, the Gemini Awards, the Leo Awards and the CableACE Awards. The War Between Us (90 minutes – producer) written by Sharon Gibbon and directed by Anne Wheeler, takes place during World War II in the interior of British Columbia and deals with the effects of the Canadian Government’s policy of internment on the West Coast Japanese community. TV International ranked The War Between Us as the highest rated film broadcast on Canadian television in 1995. Stein Valley Voices For The Wilderness Festival (60 min – producer) a look at environmental and aboriginal issues within British Columbia and abroad, Stage Left (60 min – writer, producer, director) profiles two extraordinary couples who work and play in the arts, Spirit Of The Dragon (30 min – writer, producer, director) a mystical view of the history and legend behind Dragon Boat racing, Iron Horse (30 min – writer, producer, director) a journey filled with country music and rail travel through the Canadian Rockies, Maharani And The Maple Leaf (60 min – producer) an adaptation of Jan Derbyshire’s award-winning stage play, Totem (30 min – writer, producer, director) a documentary on the creation of the world’s tallest totem pole, The Magic Of The Celts (30 min – producer) a poetic look at the mystery of Celtic consciousness, Teru Teru Bozu (30 min – producer, director) a behind the scenes look at the making of The War Between Us, Dragons ’96 (60 minutes – producer) showcases the 1996 Canadian International Dragon Boat Festival and the World Championship Cup and Body & Soul (30 min – writer, producer, director) two women begin the healing process and gain spiritual awareness through physical challenge. Pacific Profiles (writer, producer, director) introduces 156 unique individuals drawn from a cross-section of society including entertainers, athletes, activists, spiritual leaders, and artists. The series of 78 half-hour episodes, produced over three years and broadcast nationally on CTV, offers a glimpse into the heart and soul of some of Canada’s most accomplished individuals, allowing them expression through commentary on a variety of subjects and issues. 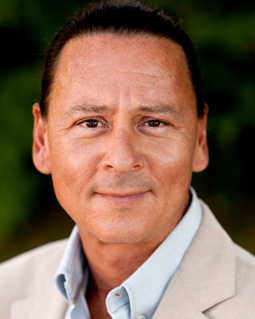 Walter Daroshin is currently the President of Troika Productions Inc., Chair of The Motion Picture Arts & Sciences Foundation of BC, President of the Leo Awards, a Director of the Hands in Peace Society (Canada) and a Trustee on the Board of the Vancouver Waldorf School. An award-winning photographer and filmmaker, Walter has travelled on assignment to Peru, Mexico, New Zealand, China, England, France, Germany, throughout North America as well as India and Nepal; where he lived and studied for one year. He is a former member of the Canadian Association of Financial Planners, Captain of the National Advertising Benevolent Society of Canada, founding Director of the Stein Valley Voices for the Wilderness Society, Vice Chair of the British Columbia Motion Picture Association and Publisher of Shared Vision Magazine. In 2001 Walter assumed the Publisher’s chair at Shared Vision Magazine. Through balanced and topical editorial, Shared Vision advocated a model of healthy living that integrates physical and spiritual growth with a strong sense of social responsibility circulating 40,000 copies monthly throughout British Columbia. In 2006, along with three grade 6 students from the Vancouver Waldorf School, Walter traveled to China to represent Canada at the Hands in Peace Festival in Beijing. Hands in Peace brings children together from all over the world, in particular those having experienced war and hardship, to share their cultural heritage through a celebration of the arts. The event in Beijing ran for 10 days and included 300 children and adults from North and South Korea, Japan, Tibet, Taiwan, the United States, Mexico, Ecuador, Canada and China. As a Director of the Vancouver Waldorf School Walter has delivered presentations on governance and social renewal in Chicago, Ann Arbor, Massachusetts, Maine and throughout the Pacific Northwest at conferences and by invitation. He has served the School in many capacities including; Trustee and Officer, Parent Council Chair, Director of Development and as the Host of the school’s annual Festival of the Arts.